I have been a wedding minister in the Los Angeles County area for many years and I have officiated private weddings, civil weddings, religious weddings and celebrity weddings in countless different wedding venues. Some of the couples who asked me to be their wedding minister chose the Omni Hotel as their wedding location. 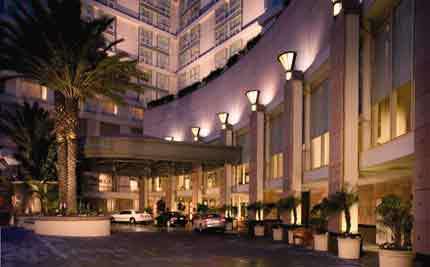 A four-diamond hotel in downtown Los Angeles, the Omni is synonymous with class and customer service. Sitting atop historic Bunker Hill Every detail of your wedding is planned. The Omni used to be called the Bonaventure and they have a rooftop patio with a breathtaking city view. If you want an elegant wedding or a wedding with a view, this may be your wedding location. Don’t forget to book an equally classy non denominational minister too! Choose the Omni Los Angeles Hotel at California Plaza as your Los Angeles wedding location, and the celebration is guaranteed to be memorable. All event space has been recently updated to evoke a sophistication that any cosmopolitan bride is sure to appreciate. If glamour and refinement are what is desired, the premier Bunker Hill Ballroom, with 19-foot ceilings, windows providing natural light, and ability to host up to 800 guests for receptions and banquets is the perfect fit. 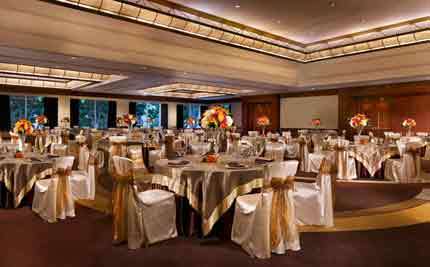 The Omni Los Angeles Hotel at California Plaza is an ideal wedding location for all of your celebration needs- from engagement parties, bridal showers and rehearsal dinners to the perfect wedding reception and farewell brunch. From the new décor to the midnight blue accents, brides can check off “something new and something blue” and enjoy a wedding day that is truly extraordinary at the Omni Los Angeles Hotel at California Plaza. Your wedding in Los Angeles must be everything you desire. I suggest that you consider the Omni Hotel as your wedding venue. Your wedding minister is also a very important consideration. Please consider the Officiant Guy be your wedding officiant in Los Angeles.